Last week, I talked about how I have experienced a paradigm shift as a writer. This week, I will talk about how I have experienced a paradigm shift as a blogger. When I started this blog, I had very little idea of what I wanted to do with it besides log my experiences in gamebook writing in an aid to improve. From there it grew into analysis of several aspects of gamebooks as well as a place to write news about gamebook goings on. It also led to me being offered the chance to write gamebooks for people. Over the past three years, I have experienced a lot of changes and now I need to re-evaluate what this blog is for. I will go through some things that I could blog about and comment on whether I will be blogging about them in future and why. Gamebook news: I usually surf the web for gamebook related stuff and I used to post news on this blog as it came up. However, at the time of writing this post, I have been news editor for Fighting Fantazine, a fantastic free gamebook related zine, so I won't be doing much news here any more. 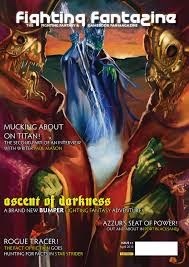 Gamebook related reviews: Like with the news, I write reviews for Fighting Fantazine, so I won't be posting stuff here. Playthroughs: I've never done one of this, mostly because several people on the blogosphere can write far more entertaining and informative playthroughs that I ever could, so I might give it a try one day, but not today. Gamebook analysis: Now this is what I would like to write about a lot. The thing is, my analysis has been based on the material that I built up over the years before I started this blog and the well is starting to run a bit dry. I am also experiencing a paradigm shift in my writing. Basically, I will be writing more analysis and I will be revisiting old posts to see if my view has changed, but this will be later when I've had time to play a load more gamebooks, write a load more gamebooks and cogitate on them. 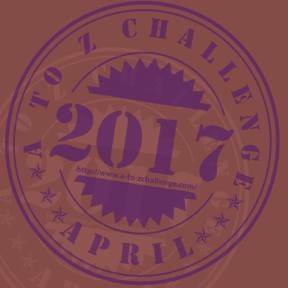 Original gamebooks: I have only done one of these - an Adventurer gamebook in April. I would like to try more of these gamebooks as writing a mini gamebook does not take up too much time and effort and I have found that the ideas for these mini gamebooks could be seeds that will one day grow into bigger gamebooks. Other random stuff: I can keep this up. I can do random stuff all day. So there we are. Basically, because I am writing for Fighting Fantazine and I am writing actual gamebooks and also because the information stream that I had saved up before blogging is running dry, posts may not come weekly, but I have a solution to help that they do. Quite early on in my blog writing, I decided to keep my posts weekly and not post them as soon as I had written them as to save material. Obviously, I completely failed at that and I've posted loads of posts. However, I have managed to build up a bank of posts for times such as these. I will be posting more of these posts so that I can devote more time to writing and also get the old posts out and bring new ones in. Discussion about gamebooks has moved on in the last 3 years and it's time for me to move on too. Please leave a comment below. I will endeavour to reply to my comments. Do you know what happened to Adventurer Solo RPG? I saw FF first time a few weeks ago, but did not read much. Do you think it is possible that there will be HTML or EPUB versions of future issues? Otherwise I'm much more likely to read what you have to say in your blog (which contains a lot of interesting things I noticed in my short time since rediscovering gamebooks). Will have a look of Calibre can make sense of the FF files and output an EPUB or something so I can read more of it. (After having a closer look.) There is a lot of interesting things to read about in that fanzine though. Very nice. Advanced Fighting Fantasy is not, strictly speaking, about gamebooks, but it's probably the closest thing. I have the impression that the discussion on interactive literatures is now focussing on a few sub-niches (or practical options), without looking at the countless possibilities. I can see from your Windhammer entry, that you are now exploring other options, that recently have been a bit neglected.